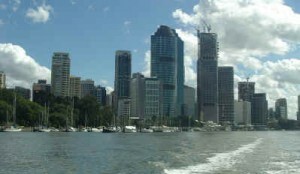 There are many boats available around Brisbane that can be hired for any occasion – Yachts, Cruisers, Corporate Boats, Ferries and many others.They may be hired for cruising the Brisbane River or you can hire a boat to enjoy sailing around Moreton Bay and out to the islands.Sail Australia is a specialist consultant in recommending the best boat to suit your needs at no additional cost. There are many boats available around Brisbane that can be hired for any occasion – Yachts, Cruisers, Corporate Boats, Ferries and many others.They may be hired for cruising the Brisbane River or you can hire a boat to enjoy sailing around Moreton Bay and out to the islands. For Information on How to Book and Conditions click here. CLICK ON THE UNDERLINE FOR PHOTOS!